Clare Flower is a local florist based in Irvinestown near to Enniskillen with a daily delivery service available throughout Fermanagh and surrounding counties, we also provide a worldwide daily delivery service as we are a member of Interflora. Clare flower has been operating since 2003 and we have built up a good customer base both locally and overseas. Clare herself has worked in the flower industry since 1987. Why not give us a call and speak to one of our experienced team who can advise you and give you that personal one to one touch, or call in and see our extensive display of flowers, plants and gifts. Clare Flower also caters for corporate events and contracts. 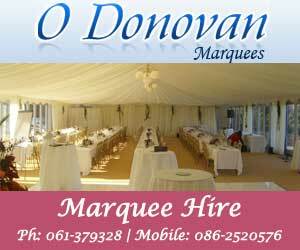 Weddings are our speciality, covering Fermanagh, Tyrone and other locations on request. Why not ring to make an appointment for a free no obligation consultation to discuss your bespoke design. Clare Flower has a wide selection of gifts to suit all occasions and price points, including birthdays, anniversaries, new arrivals, getting well, retirement, new home, love, sorry...any many more! 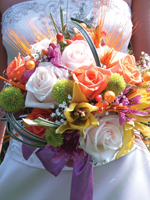 Hand tied bouquets, all made in shop and designed by our team to suit your requirements. We offer a carefully created range of floral pieces and designs to suit this sensitive time. You can discuss your requirements with our florist, combining their skills and knowledge with your own ideas to create a personal tribute to your loved one, or a selection of beautiful flowers to tell someone your thoughts are with them at a sad time in their life. "i need a local florists enniskillen fermanagh i require a florist irvinestown flower deliveries irvinestown i require a local florists trillick"